The storms hit our area. Dallas-Fort Worth - I've always called it boot camp for roofers. Everyone and anyone comes to Dallas Tx. Pillar Roofing is the experienced local Dallas Fort Worth roofing company you can trust to get the job done right. 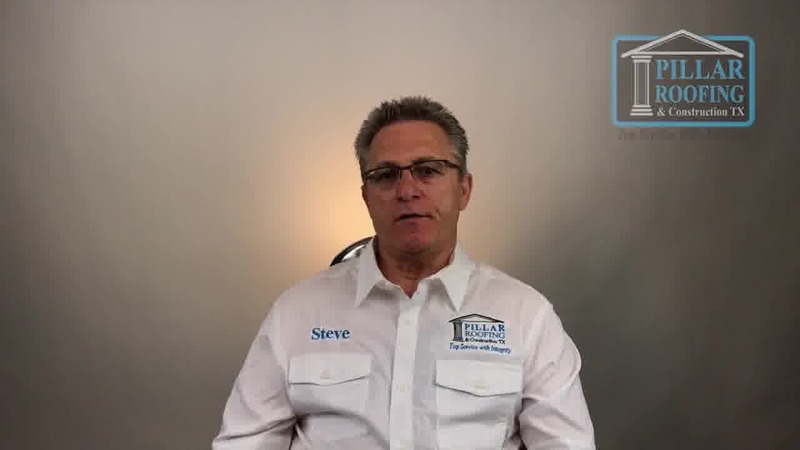 It has a lot to do with how large we are, it has a lot to do with our weather, and the fact is that the roofing industry is a large industry that people travel the nation to do. There are people called storm chasers. They literally go from storm to storm; they'll work a month or two, they'll pick up the easy low-hanging fruit - these are the people that have such bad damage that they need it repaired immediately. Most people have repairs that can wait until the heat subsides or the hail season subsides or things slow down. But, there's a lot of people that need immediate help and they're the ones that fall prey to the traveling roofing companies (or traveling salesman). It's very important you realize you want to keep your money within our counties and you want to try to support your local tradesmen. The roofing companies that have elected to stay here and not travel - that's where you want to show your interest.